Couple weeks ago, I officially became an Australian citizenship. The ceremony was held at the Canning Council. There were 35 new citizens, 31 adults and 4 chidlren from 9 countries. 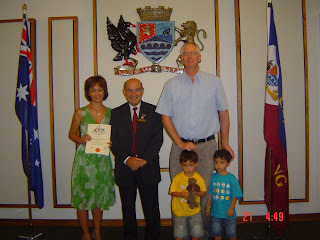 We said our pledge then the Mayor handed out the citizenship certificate, and we posed with the Mayor and our family. 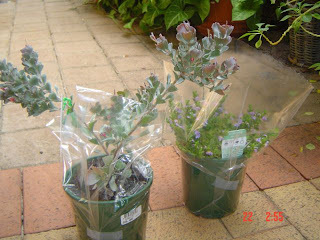 We got one native pot plant each as a pressie. hi ria,it’s colin here. long time haven’t heard from you and i’m pretty busy with my work and life in general. i owe you a long e-mail. congrats for being an aussie chick hey:0)stay as sweet as you are always, ria.